For those of us who scrapbook and/or use rubber stamps regularly, coming up with some New Year’s resolutions probably won’t be that difficult. I know it wasn’t for me when I thought about it. #1 – Journal or blog daily. This will help you to put your thoughts and feelings onto paper. It wiil also allow you to do some brainstorming about new scrapbook layouts and maybe even ways to include some rubber stamping in those. #2 – Regularly print your photographs. Whether they are on your computer, digital camera, or even your regular film 35 mm, print your photos. Even if you think you will not have time to scrapbook, it’s still a good idea to print your photos regularly so that when you are ready scrapbook, you will have them on hand to begin your layout. #3 – Do something artistic every day. Even if it is just making a few pages of your own stationery using your rubber stamps, or getting all your supplies together to create a scrapbook page while experimenting with pictures, words and paper. #4 – Learn something new about scrapbooking or stamping this year. The cool thing about having a hobby like scrapbooking or stamping is that there is always something new to learn, some new technique to try, some new layout to experiment with, or some new craft you can do with rubber stamps. Whatever you choose, learn one new thing this year. #5 – Submit one of your layouts or craft ideas to a contest. For example, there are online contests that allow scrapbookers to enter their own layouts. Consider entering one of your scrapbook layouts just for the fun of saying you participated. Who knows? You might actually win! #6 – Use at least 3 of your stamps that you haven’t used in a long time. It’s easy to collect a lot of “stuff” that relates to your hobby — sometimes you end up with so much stuff, that you actually forget about some of your greatest finds! 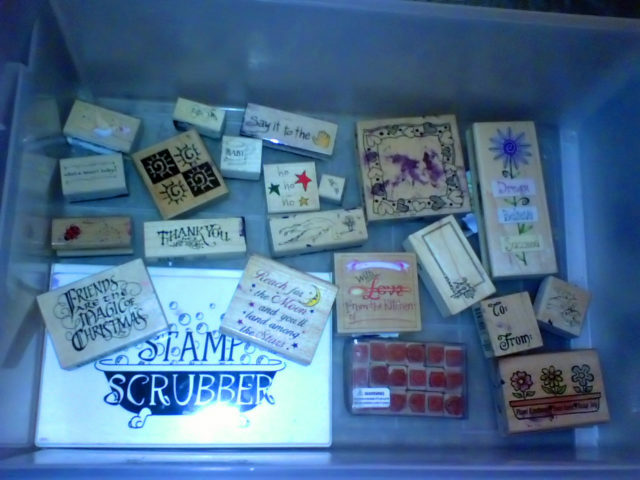 Turn that trend around by choosing 3 rubber stamps you seldom use and experiment with them. It’s not only fun, but a good way to make sure all that money you spent on your hobby was worth it! #7 – Be more selective when planning your shopping trips for your hobby. It’s easy to see something that you think you really want for scrapbooking or stamping and then make a spur-of-the-moment purchase, only to watch that item get shoved to the back of the drawer never to be seen again. 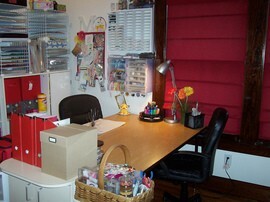 By planning out your shopping trips for craft items, you will save money and to be more organized. Maybe you’ll even get more scrapbooking and rubber stamping done this year! These are just a few ideas for New Year’s resolutions for those whose hobbies include scrapbooking and rubber stamping. Perhaps they will be useful in helping you to start thinking about your own resolutions this year.